Tag Archive | "federal Bureau of Labor Statistics"
Multi Currency Investing Beats Inflation. Multi currency investing helps fight inflation. As the US dollar falls, prices rise for everything….even local goods like food. This is one reason Merri and I like to live on a farm with our chickens (eggs) and fresh natural fruit and vegetables. 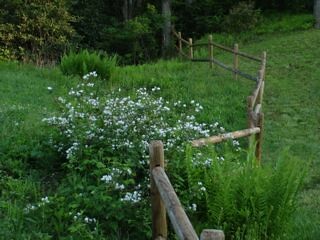 Here the blackberries are in bloom along our front yard fence. We collect enough so that Merri can make a cobbler each week. This is because there is a growing global demand for produce…wheat…corn. 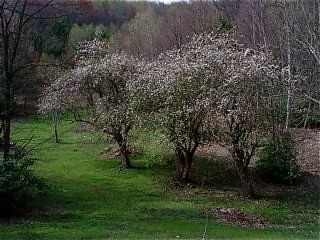 Apples too but we have plenty growing here! In short, people abroad are competing with stronger currencies for US food. Yesterday’s message, Multi Currency Statistics, showed how this means that inflation is worse than statistics show. According to US government inflation statistics, core prices described as “Core CPI” have risen just 2.3% in the last year. Yet this figure does not include the price of food or energy. In the last year, medical care costs have jumped 4.4%. Food is up 5.1%. Energy has risen 16.1%. Over the past nine months, global food prices have soared 40 percent, while food reserves are at 30-year lows. These non included costs are what we spend most! Plus according to a recent Reuters are article food prices are about to get much worse. The article says: “U.S. food prices will rise a stiff 9 percent a year through 2012, the largest increase since 1979 and the result of record-high crop prices,” the head of an economic consulting company said on Thursday. “Retail prices on staple American foods rose by double-digit percentages in the last year, according to new data from the federal Bureau of Labor Statistics (BLS). The cost of milk rose 26 percent, and egg prices grew by 40 percent. Yesterday I went grocery shopping. A small loaf of good sourdough bread was $3.99. At 9% per annum here is what it will cost each year. A gallon of organic milk yesterday was $8.38. We do not buy eggs thanks to our friendly chickens who live with us on our farm. As boomers begin to retire on their social security, a loaf of bread and a gallon of milk will leave $2.60 change from a twenty dollar bill…not enough to buy a dozen eggs. This is why we need multi currency investments to protect against the falling US dollar and fight inflation. Yet the problem may be worse. Milk rose 26 percent, and egg prices grew by 40 percent in the US this year. Worldwide, food prices have risen 45% in the past nine months according to the United Nations’ Food and Agriculture Organization. This creates enormous opportunity because it is a huge problem. Problems create opportunity. Many people will become poorer because of this problem but wise investors will gain by investing in businesses that help solve these problems. So what types of problems will a global food shortage create? We can get a clue about one by looking at the Danish Pharmaceutical Portfolio we track in our Multi Currency Course. Here is how it performed during the recent global equity set back..
Why when this sector was slaughtered did Novo Nordisk shares rise 12% in three months? One reason is this company is one of the largest producers of insulin in the world. As food grows in cost more people eat less expensive carbohydrate food. Too many carbs in the diet encourage diabetes. Diabetes creates a demand for insulin. 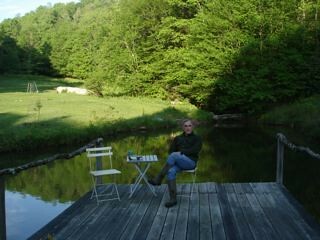 This is another reason we like farm life with plenty of ponds and creeks filled with fish. 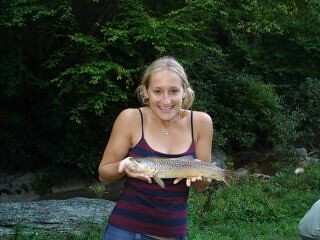 Some are pretty good size as well like this trout our daughter Eleanor fed four of us with! Those who change, adapt and invest in solutions to problems are those who will profit.